Offered is a beautiful program signed by the 1960’s Folk trio of Peter, Paul and Mary. 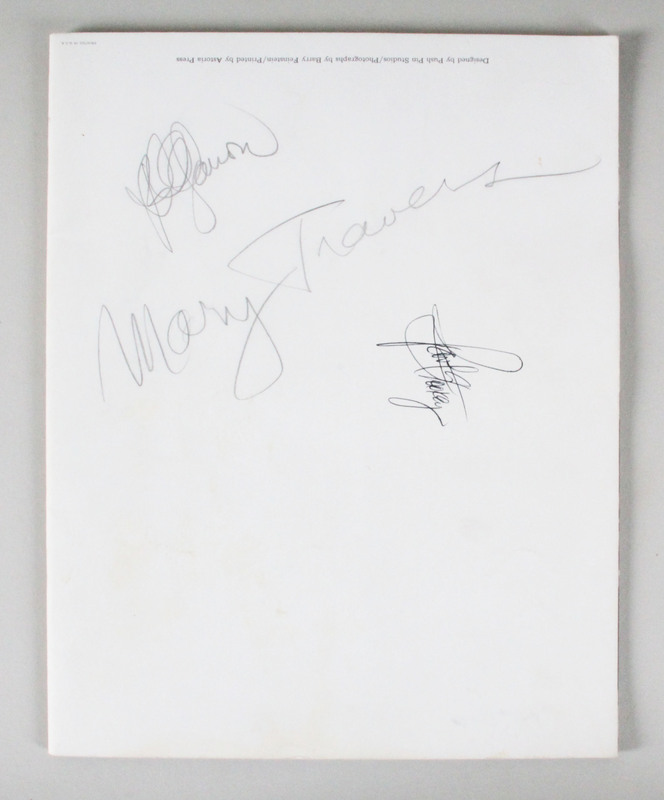 The concert program dates to the height of their popularity in 1964 and was autographed on the back by each member in both pencil (Peter & Mary “9”) and black ink (Paul “9”). Overall, a wonderful collectible from an iconic folk group.